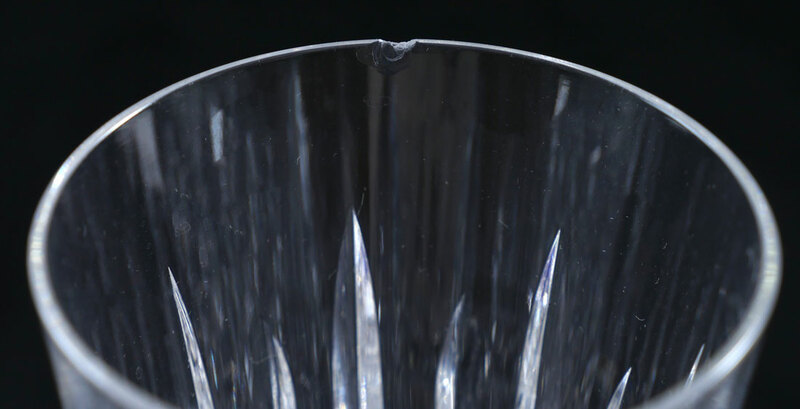 COLLECTION OF WATERFORD KYLEMORE CRYSTAL STEMS & MORE: Approx. 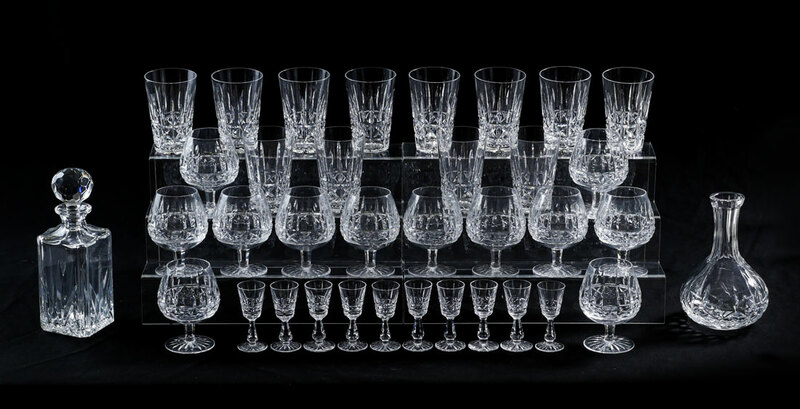 33 pieces in the Kylemore pattern by Waterford to include 12 brandies (5 1/4''), 10 cordials (4''), 11 tumblers (5''). 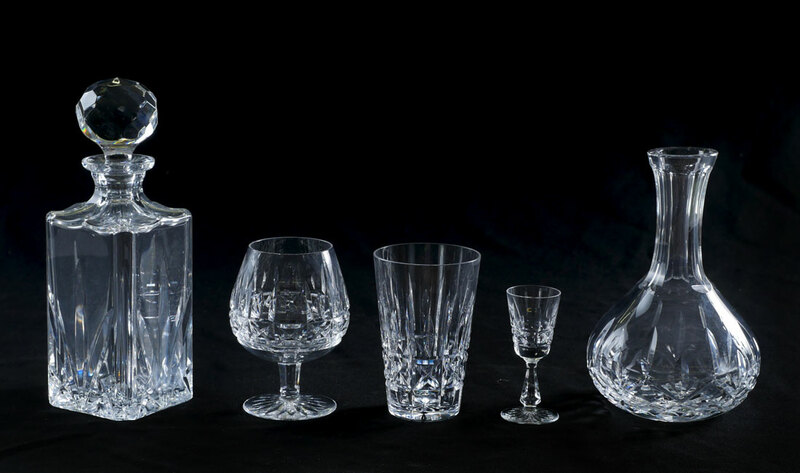 Sold with a Waterford decanter of another pattern (missing stopper) and an Atlantis decanter.